Tweaking the terms of their September joint venture gives the German steelmaker a bigger share of a future IPO. It could have driven a harder bargain, but Tata had limited wiggle room. Besides, ThyssenKrupp needed a deal to kickstart its own much-needed overhaul. Tata Steel and ThyssenKrupp said on June 29 they had agreed to amend the terms of the joint venture formed in September 2017. ThyssenKrupp and Tata Steel will split the proceeds from listing the joint venture 55 percent to 45 percent in the German group’s favour following an assessment of the valuation gap between the two entities. The two had previously agreed a 50-50 split. The companies expect to generate annual synergies of 400 million euros to 500 million euros, along with savings in capital expenditure and optimising working capital to be confirmed via due diligence. ThyssenKrupp also has the exclusive right to decide on the timing of an initial public offering of the new company, to be named ThyssenKrupp Tata Steel. The joint venture will have a two-tier governance structure that comprises a supervisory board and a management board, each with six members, equally split between ThyssenKrupp and Tata Steel. Job cuts will number 4,000 in operations and support functions, expected to be shared roughly evenly between the two parties. 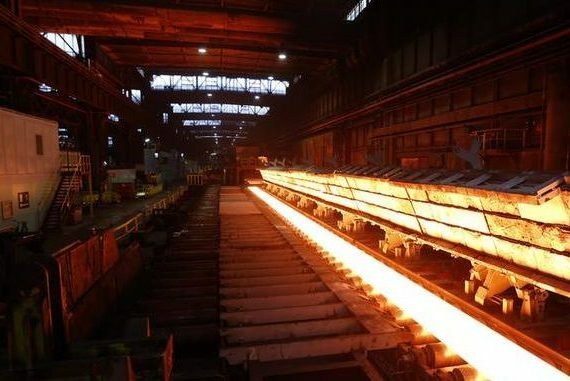 Tata Steel shares fell 1 percent to 562 rupees as of 0800 GMT on July 2. ThyssenKrupp shares fell 1.4 percent to 20.5 euros.